Hi, here is a short video showing how you can make cash from Amazon, it is very simple to do and you can start with no cash at all. You may not make big bucks with this, so think of it as another income stream that you can add to your armoury see Build More Baskets. If you like the idea you can build it into a profitable full or part time business for very little effort. Why not pop over to Barry Wells’ Video Challenge for some more excellent Videos and advice. Sadly it will work only in Amazon-supported countries. However, is really selling books like that profitable? I mean maybe I missed this on the video, but how much did you earn from it in like a month? Wow, and I gave all my books away! Okay, it was to charity but there again, it is said that charity begins at home! I do have an amazon account, spent loads in the last week on it and all, but that is something I will look at next time I do a clean out. I love reading and tend to end up with a collection which as I said, end up giving away. Thanks Robert for, again, a very informative lesson. Another great information video from you. I started selling physical books on Amazon around 12 months ago. Like you I am a collector and have dozens and dozens in excellent condition that I need to make space for. As you point out many of the popular items are selling for peanuts but so far I have only sold more specialist or niche books. I agree about the feedback from Amazon customers, you are one ahead of me with two. as I said in the Video the charity shop see the specialised books as having no real value against the more general stuff, so the profits are all the greater. there is also play.com and a few other sites that you can use, but Amazon is the big player here. It’s not a big business for me,so it depends the book and its popularity. Its just a nice little earner “The Geology of Scotland” cost me £2.74 and sold for £40. The Haynes Caravan Manual cost me 30p and sold for £14, but you don;t get these bargains every day. charity does begin at home and I am emptying mine of all the books I don’t need! Another great lesson showing people how to make some extra money. It all looks a really simple method and I know that people are going to following your instructions. I have a book case full of books but most of them are novels, although I do have some on Irish history so I may give it a spin with those. Are you restricted on the postage charges as we are on eBay. I ask because I used to sell book on eBay but stopped doing so when they capped what we could charge. I had some health encyclopaedia’s and they were nearly £12 to post so when eBay capped us at £2.75 I stopped listing. I think I’ll be having a look through all of old book now and seeing what can be sold on Amazon. Amazon work out the postage for each item and this is set at £2.80, which is fine for most books. But the Geology of Scotland cost over £4 to post but then I sold it for £40 so look at your final sale price to see if this is worth it. 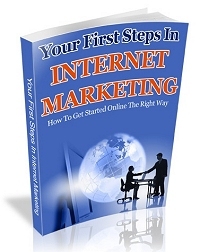 This looks very interesting you know some Internet Marketers make thousands per month as an affiliate using little income stream systems like this….Robert Evans is such a guy! Excellent video…guess we’re all evolving that down format route take care Ed. Ed@setting up an eBay business recently posted..How to make Your Product Description on eBay Capture The Buyer? I am interested in this process of earning cash.I think there is no option better than to earn cash with zero investment. waterpearls recently posted..How Vegans Can Get Their Required Amount of Complete Protein. I am a frequent user of amazon and I ever thing how I earn cash from it.I share your post on facebook and it gives many people a sight to earn cash with zero investment through amazon. I need to go back through the things that have not been selling and adjust the prices so I can get them moved. Excellent video post here, Rob! I cannot open this video.Would you like to give me some written details on how to sell on amazon free of cost. Hi Nida, just tried to open this and all ok, it could be quick time have you got the latest version? I am releasing the PDF plus template and some bous items next week at the latest. I bookmarked http://robert-corrigan.com/amazon-cash-by-the-numbers/ at Digg.com so my friends can see it too. I used Robert Corrigans Blog Amazon Cash by The Numbers as the entry title in my Digg.com bookmark, since you used for the title of your blogpost, so I figured you’d like it bookmarked the same way.